Formerly known as Lumberjacks Camping Resort, OZ Campground is re-opening Memorial Day Weekend 2012 with new owners, a new name and a whole new attitude. This beautiful property, located approx. two hours from Atlanta (in Central Georgia, just 8 miles off I75) consists of open fields, rolling hills and wooded areas. As recently as 1950, much of the property was fields and was planted in either Tobacco or Cotton. The property includes an Entertainment Area, Rental Cabins, RV Hookups, Tent Sites, Long-Term Lease Lots and privately owned cabins. 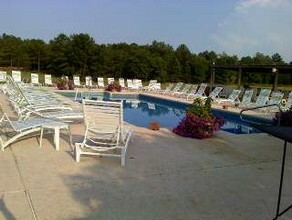 The Entertainment Area is centered around a 40x20 foot pool, and includes a Main Building (formerly used as a 4000 sq ft bar), restrooms, a pool house/bar and shade structure. The area also overlooks a man-made pond with dozens of Koi. Accommodations include twenty-one RV sites with 30/50 Amp electric, sewer and water connections & six RV sites with 30 Amp electric, sewer and water connections. There's also pull–thru RV sites for big rigs. 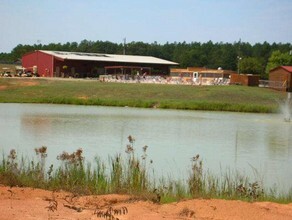 Rental accommodations include Deluxe Studio Cabins with bath, kitchen and screen porch, four Studio Cabins with King or two Queen beds, a Screen House with two bedrooms, kitchen and screened living area, a Studio Duplex, each with bath and kitchen, Deluxe Suite with bath, kitchen, living area and deck. There's also The Bunkhouse with four individual rooms with queen beds and shared bath. New on the site are two deluxe Park Model cabins, which are fully furnished. There's also fifty tent sites on the property with access to electric & water. OZ also offers long-term lease lots. Over seventy sites are available for long-term (12 months or more) lease. These sites include 30/50 Amp electric, sewer and water. These will accommodate large or small RVs (trailers, popups, 5th Wheels & Motorhomes). Ten sites are also available for Park Models and include 100 Amp electric, sewer and water. 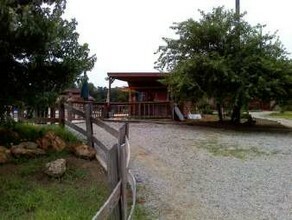 Privately owned cabins are located on the property as well. 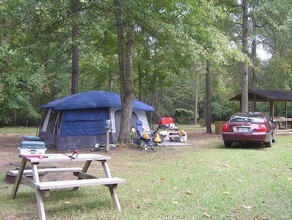 Gay Camping USA would like to welcome OZ Campground back to the gay camping community. 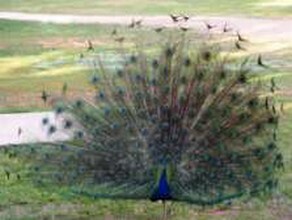 For those who are in the Atlanta or Unadilla area, OZ Campground is certainly worth a visit.